Learn more about the project on the Fulton County Transit Master Plan page. 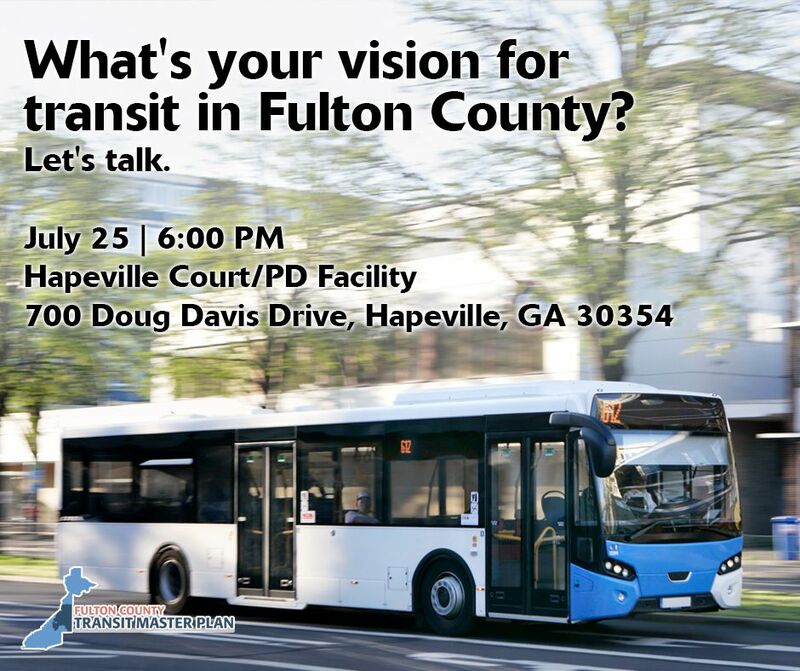 On July 25, 2017, the City of Hapeville held a public meeting to discuss the community's vision for transportation, existing transit conditions, potential transit objectives, corridors of interest, and transportation recommendations for the City and region. View a copy of the presentation from the July 25th meeting here. Take the online transit survey and make your voice heard here. Check back for updates as the project progresses!